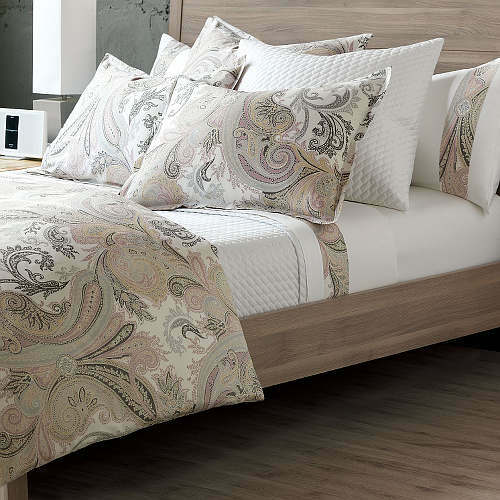 This captivating 300-thread count bedding collection from RB Casa boasts a dazzling sateen print and the creature comforts of a white quilted coverlet and shams. 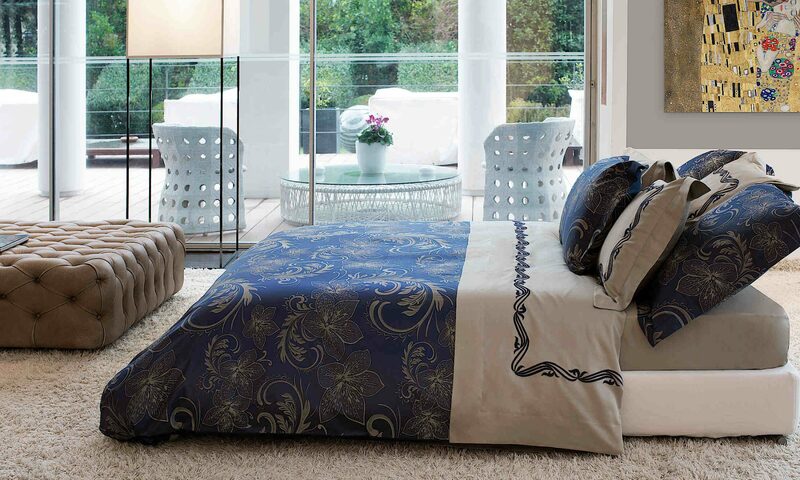 The combination of texture and design will sooth the soul. The white flat sheet and cases have an applied printed border. Shams are in an allover print with satin stitch detail and one inch flanges. Available from DefiningElegance.com in two colorways: Natural and Purple.